Food Recall Monitor | A recipe of food, law and insurance. The Food and Drug Administration (FDA) and the United States Department of Agriculture (USDA) are expected to soon issue new regulations regarding the advertising and labeling of food products. California manufacturers will have to make sure that they not only do not run afoul of those new rules, but that they comply with California’s strict false advertising law. The FDA’s reconsideration of the definition of “healthy” came about after it sent the KIND company a warning letter in 2015 for its use of the word “healthy” on its nutritional bars, which happen to contain nuts. KIND objected to the warning letter by stating that the FDA’s definition of “healthy” is outdated and that its products do not meet that definition only because they contain nuts, which are generally regarded as healthy. The FDA then agreed to revisit its definition of “healthy” and to delay enforcement under the old definition. (Unfortunately for KIND, however, the FDA letter precipitated the filing of three separate class actions suits based on the claim that KIND was violating the FDA’s “healthy standard.”). What it means for food to be “natural” has become a topic of contentious debate, and the Food and Drug Administration (“FDA”) entered the fray earlier this year, requesting comments on use of the term on food labeling. Some courts, including the U.S. Court of Appeals for the Ninth Circuit, have stayed lawsuits centering on use of “natural” on food labels. These stays have been granted on primary jurisdiction grounds, with the courts waiting for the FDA to speak on the issue before moving forward with the cases before them. 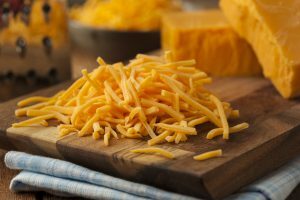 One court recently broke from this mold, however, denying a motion to stay a case filed against Kraft Foods Group, Inc. (which is now Kraft Heinz) centering on the use of the term “natural cheese” on Kraft’s shredded fat free cheddar packaging. Kind, a snack food company, was publicly condemned last spring for mislabeling its popular snack bars as “healthy” in violation of dated regulations. Earlier this month, FDA announced it will permit Kind to return the “healthy and tasty” label to its products. Kind received national attention in April 2015 after receiving a warning letter from the FDA. The Agency cited four Kind snack bar products that were improperly labeled “healthy.” Kind felt a significant backlash of negative publicity and waves of litigation as a result of the warning letter which struck right at the heart of the company’s values and mission to provide healthy food products. The GMO war rages on after a close vote in the Senate last week addressing proposed voluntary, national standards for GMO labeling. A 48-49 split means the Senate failed to invoke cloture to bring the Biotechnology Labeling Solutions Bill to vote. The bill, if enacted, would have prevented states from enacting their own legislation addressing GMO labeling and would have created national uniformity with a set of voluntary bioengineered food labeling standards. FDA took long-awaited and much-anticipated steps this week to address the requests of both consumers and food manufacturers and producers for guidance and regulation on use of the term “natural.” For years now, consumer litigation alleging false labeling and misrepresentation claims have been piling up on dockets while FDA declined to take any affirmative steps to address the term’s lack of a definition or regulation. Courts, consumers, and industry members alike have repeatedly requested FDA to get involved. FDA’s steadfast position against formally addressing “Natural” claims on food products may soon be forced to change if the Safe and Accurate Food Labeling Act, which the House of Representatives passed on July 23, 2015, is enacted. The Safe and Accurate Food Labeling Act (“SAFLA”) serves largely to prohibit state and local governments from enacting laws requiring food products containing GMOs to be labeled as such. It also addresses “natural” labeling claims, which have been a hotly litigated issue in recent years. SAFLA is premised on the notion that the presence of GMOs in a food product is not information that is material for distinguishing between such a food and a comparable food product not produced from or containing GMOs. Therefore, labeling is not necessary. SAFLA does provide consumers, the food industry, trading partners, and other interested parties with a clear affirmation of safety for foods produced from, containing, or consisting of genetically engineered plants. The bill now moves along to the Senate. If the Senate passes the legislation in identical form, it will be final once signed into law by the President. There are two notable subjects addressed under SAFLA. First, no state or political subdivision of any state may directly or indirectly establish under any authority or continue in effect as to any food in interstate commerce any requirement regarding use of genetically engineered plants for use in a food product that is not identical to the notification program established under SAFLA. Second, SAFLA directs FDA to formally address “natural” claims on food product labels. Title II of the Act addresses Genetic Engineering Certification. SAFLA establishes a voluntary genetically engineered food certification program under USDA. This certification program governs label claims regarding use or non-use of genetic engineering in food products. The Secretary of Agriculture is responsible for establishing the voluntary genetically engineered food certification program which will govern labeling with respect to use of genetic engineering in food production. The program will establish standards for selling or labeling a covered product as being GMO-free, or produced without use of genetic engineering. This will ensure a nationally-uniform manner of labeling. 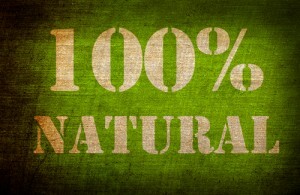 Title III addresses “Natural” food labels. Under SAFLA, a food is deemed misbranded if its labeling contains an express or implied claim that the food is “natural” unless the claim uses the terms that have been defined by, and the food meets the requirements established in, FDA promulgated regulations. 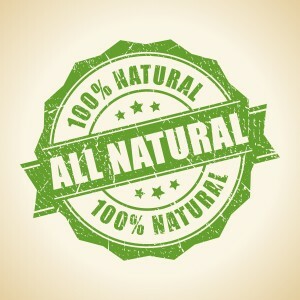 Natural claims include the following: “natural,” “100% natural,” “naturally grown,” “all natural,” “made with natural ingredients” and any other terms specified by Secretary. What can we expect if SAFLA is enacted? If the legislation passes the Senate and is signed into law by the President, states will be prohibited from issuing mandatory laws for foods containing certain GMO and states will be prohibited from requiring foods containing GMOs to be labeled as such. Further, the legislation will prohibit state and local governments from regulating GMO plants. 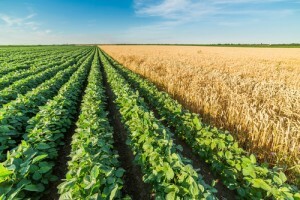 States will also be prohibited from making it unlawful for companies to label products containing GMOs as “natural.” In place of state by state laws regarding “natural” labeling, FDA would be required to set formal requirements for “natural” labeling, something it has steadfastly avoided doing for years. Specifically, the legislation directs FDA to establish rules formally defining how “natural” labeling can and should be used on food products. FDA currently has only an informal policy stating that foods labeled as “natural” cannot contain any added colors, artificial colors, artificial flavors, or synthetic ingredients. Companies would be permitted to voluntarily label foods that do or do not contain GMO ingredients, but they would not be required to do so. The legislation directs the Department of Agriculture to establish a voluntary nongenetically engineered food certification program that would govern labeling of non-GMO food products in a uniform manner across the country. This is modeled after the largely successful USDA Organics program. A program like this would relieve companies in the food industry from any obligation to disclose use of GMOs in their product. Companies voluntarily labeling products as GMO-free would need to follow a standard established under the legislation. The legislation directs creation and implementation of a process to certify GMO-free food; therefore, a company labeling product as GMO-free may do so through the USDA-accredited certification process. FDA would also be responsible for publishing and maintaining an online registry listing all genetically engineered plants intended to be used in food products. If a producer intends to use a non-regulated genetically-engineered plant in its food products, it would first have to receive FDA approval that the food is as safe as comparable foods. What are SAFLA’s proponents saying? Proponents of the bipartisan legislation argue that GMOs have been deemed safe by FDA and science has repeatedly found that they are not harmful or unsafe. Advocates stand behind findings of numerous renowned, well-respected groups that have all found GMOs to be safe. Such groups include FDA, World Health Organization, American Medical Association, National Academy of Sciences, and American Association for the Advancement of Science. Because GMOs have been found not to be harmful or unsafe, proponents argue that requiring products to be labeled as containing GMOs would cause undue alarm to consumers. Without national legislation, a “patchwork” of state laws would increase prices, drive up food costs, and continue the rash of class action lawsuits currently bombarding food manufacturers. Variations in state laws also disrupts the free flow of goods across our nation and threatens interstate commerce. Consumers’ interests are also negatively affected by varying laws because the inevitable result is that product labels are inconsistent and present confusing information for consumers. The absence of a national standard risks spreading misinformation. While it is unknown how long it will be before SAFLA is voted on in the Senate, members of the food industry should not be sitting back waiting and watching. Companies facing litigation involving “natural” or GMO-related labeling claims should certainly attempt to use this legislative action in defending (or at least staying) litigation against them. Stay tuned. Time will tell how both the judicial branch and legislative branch will react to last week’s passage in the House. Please feel free to contact a member of Cozen O’Connor’s Food and Beverage industry team for more information about the subject of this blog post or how Cozen O’Connor can be of help to you and your organization. It goes without saying that there’s been much attention given to the use of social media in litigation. As litigators, we regularly monitor Facebook, LinkedIn, Instagram and other social media networks to surveille those who have sued our clients and those that our clients are suing. In the class action context, social media is being used on a more frequent basis as a cost-effective tool in providing notice to class members. For example, in the case of Mark v. Gawker Media LLC, 1:13-cv-04347, a judge in the Southern District of New York recently approved the use of social media to notify putative class members of a pending wage and hour class action lawsuit. Social media has even extended to service of process. Cozen O’Connor’s Food and Beverage Industry team represents a client involved in a commercial dispute with one of its Egyptian-based suppliers. Mincing Trading Corp. v. Aromatic Ingredients S.A.E., 13-cv-931. Service of process of the Summons and Complaint, however, was rendered impossible due to the civil unrest in Egypt. After finding the Egyptian supplier on LinkedIn and already having its e-mail address, Cozen O’Connor asked the District Court Judge in New Jersey presiding over the case for leave to use alternative methods of service via these media. In its Order granting the motion, the Court found significant that the proposed methods of service have not been objected to by Egypt and that Defendant “would actually receive notice through same.” Click here for a copy of the Order. 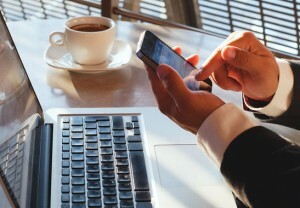 The increased acceptance of social media as a means to providing notice – whether of a class action settlement or of a Summons and Complaint – is reflective of the dramatic change in the way we interact with one another, and represents a step in the right direction in providing real, targeted notice to litigants and protecting their due process rights. As Minnesota Judge Kevin Burke noted in the case of Mpafe v. Mpafe, “[t]he traditional way to get service by publication is antiquated and is prohibitively expensive…[s]ervice is critical, and technology provides a cheaper and hopefully more effective way of finding respondent.” There’s no doubt we’ve become more social. Pretty soon we may even be speaking with each other on elevators. Kind, LLC received a rude awakening from the FDA when it notified the popular snack-maker that it was violating numerous federal regulations by allegedly misbranding four popular products. Kind is known for its widely-popular snack bars which are marketed as “wholesome,” “tasty,” and “convenient.” FDA’s warning prompted even more problems for Kind as the first class action was filed against it just three days later, mirroring FDA’s warning. Kind’s labels contained nutrient-content claims that were purportedly unqualified given the bars’ ingredients and nutritional values. Four varieties (Kind Fruit & Nut Almond & Apricot, Kind Fruit & Nut Almond & Coconut, Kind Plus Dark Chocolate Cherry Cashew + Antioxidants, and Kind Plus Peanut Better Dark Chocolate + Protein) were allegedly misbranded because they were improperly labeled, among other things, as “healthy.” FDA warned that the products failed to meet the necessary requirement to qualify as “healthy” according to its definition of the term. In the first class action filed on April 17, 2015, plaintiff Brandon Kaufer alleged he paid a premium for the four varieties of Kind bars subject to FDA’s warning, and based his allegations off of FDA’s letter to Kind. The complaint alleges violations of both federal regulations as well as California’s state consumer protections statutes. Kaufer is not alone. To date, two other proposed class actions have been filed containing similar allegations—another in California and one in New York. There are two noteworthy implications of FDA’s letter to be considered in litigation. First, FDA’s action against Kind demonstrates that it is carefully monitoring products and holding companies to a high standard. Companies who pursue the “primary jurisdiction” defense (a defense that FDA is the appropriate entity to regulate labeling—not the courts) can now point to FDA’s exercise of its enforcement against Kind to strengthen its argument that FDA is taking an active role in regulating food labeling. Second, the facts of this case demonstrate the need for “common sense” in an era in which consumers are bringing seemingly incessant claims regarding labeling and advertising in the ever-popular class action field. Despite FDA’s position that Kind bars are not “healthy,” due to the fat-content of the bars, this finding was largely based on the inclusion of ingredients that are widely considered healthy—nuts. Kind, which posted a response to FDA’s letter on its website, noted other seemingly healthy foods, such as avocados, eggs, and salmon, which are not “healthy” according to FDA. 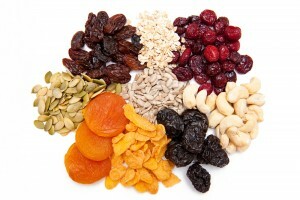 Few can argue, however, that these popular “super foods” are not healthy. Companies should seek early dismissal of claims, such as those against Kind, when common sense reveals the frivolous nature of such suits. Consumers’ lack of common sense should not be pardoned, as courts have already recognized. Federal courts dismissed actions against manufacturers of Froot Loops and Cap’Crunch with Crunchberries brought by customers who claimed they were misled to think that the sugary breakfast cereals actually contained real fruit. In POM Wonderful LLC v. Coca-Cola Co., (June 12, 2014), the U.S. Supreme Court confirmed that companies can bring unfair competition actions under the Lanham Act even when their competitors have complied with the Federal Food, Drug, and Cosmetic Act (FDCA). The upshot of the decision is that food and beverage companies must carefully review their labeling, advertising and marketing campaigns to ensure that they are both complying with the FDCA and not subjecting themselves to Lanham Act exposure from making misleading product claims. 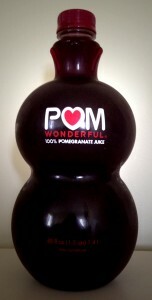 POM Wonderful LLC (“POM”) produces and sells a pomegranate-blueberry juice blend. POM brought a Lanham Act suit against Coca-Cola for allegedly marketing one of its juices in such a way that it misled consumers into thinking that the product contained much more pomegranate and blueberry juice than it actually does. In fact, POM alleged that, together, pomegranate and blueberry juice made up only .6% of Coca-Cola’s product. Coca-Cola moved to dismiss in the District Court on the grounds that the FDCA and its regulations preclude and preempt any Lanham Act challenges to the method or content of Coca-Cola’s marketing of its juices. The Ninth Circuit affirmed in relevant part, and POM appealed. The Lanham Act was enacted in 1946, for the purpose of “making actionable the deceptive and misleading use of marks in . . . commerce . . . [and] to protect persons engaged in . . . commerce against unfair competition . . . .” 15 U.S.C. Section 1127. The Act creates a cause of action based on unfair competition through misleading advertising or labeling. This provision allows competitors to sue each other, with the happy side result that consumers benefit from the elimination of misleading marketing campaigns. Put another way, the statute is a way for the government to out-source some of its enforcement duties at no cost. Coca-Cola argued that the FDCA statutory regime allowed it to use the allegedly misleading label. Unlike the Lanham Act, which relies on private actors to enforce its provisions, the FDCA and its regulations grant only the U.S. government the standing and authority to employ the statute. The Supreme Court granted certiorari to consider whether a private party may bring a Lanham Act claim regarding a food or beverage label that is regulated by the FDCA. In addressing the preemption argument, the court observed that this was not a preemption case per se, since there were two federal statutes at issue, and not one state statute and one federal statute. The key takeaway from this decision is that a company’s strict compliance with the FDCA does not ensure that it will be free from a Lanham Act suit by a competitor. So food and beverage companies must scrutinize their labeling, advertising and marketing campaigns to ensure that they do not leave themselves exposed to Lanham Act liability. As the Court noted, the FDA does not preapprove food and beverage labels, unlike drug labels. Food and beverage companies, then, might reasonably believe that they are in compliance with the FDCA, only to find themselves subject to a Lanham Act suit, and, possibly, liability. Companies that do business in California must also make sure that they do not run afoul of California’s strict Unfair Competition Law as well, so a self-audit for possibly misleading labels is vital. From a philosophical perspective, this holding seems to affirm the principle that private corporations with real financial stakes in the proceedings are better positioned to regulate the market than consumers or the government. Ultimately, should the cases go to trial, however, the public will still have its say in the matter. Read the opinion in full.